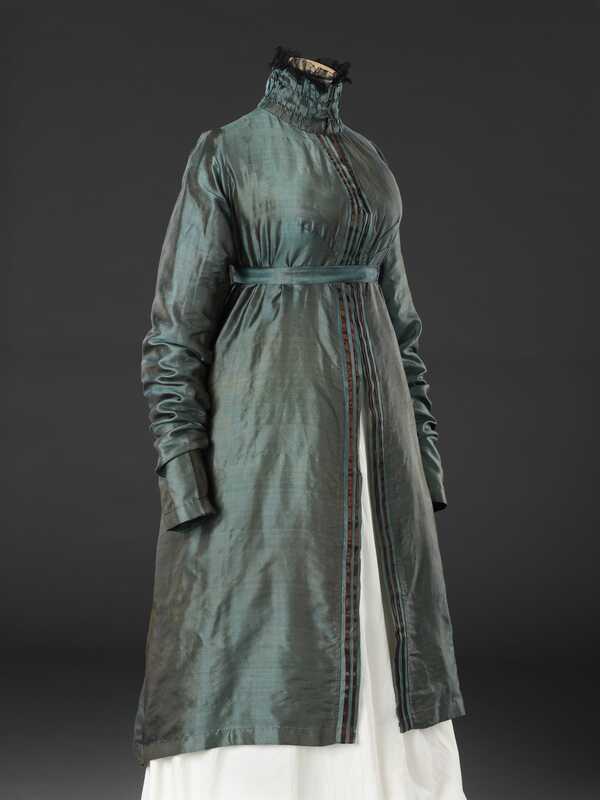 This is a short version of a pelisse, an overgarment, generally following the high-waisted form of the dress beneath, worn from the late 18th Century until the 1820s. 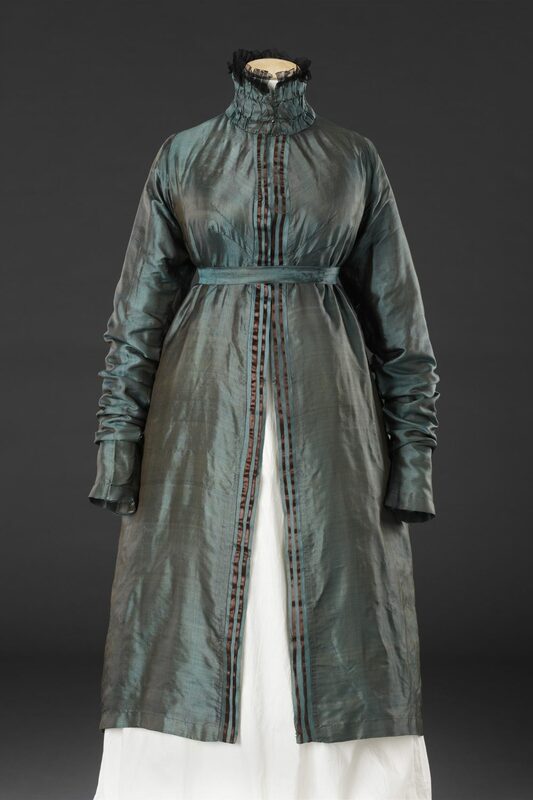 Like many pelisses this example provides neither warmth nor protection, being made of a very lightweight shot silk twill, the sleeves and the top of the back alone lined in fine cream silk. 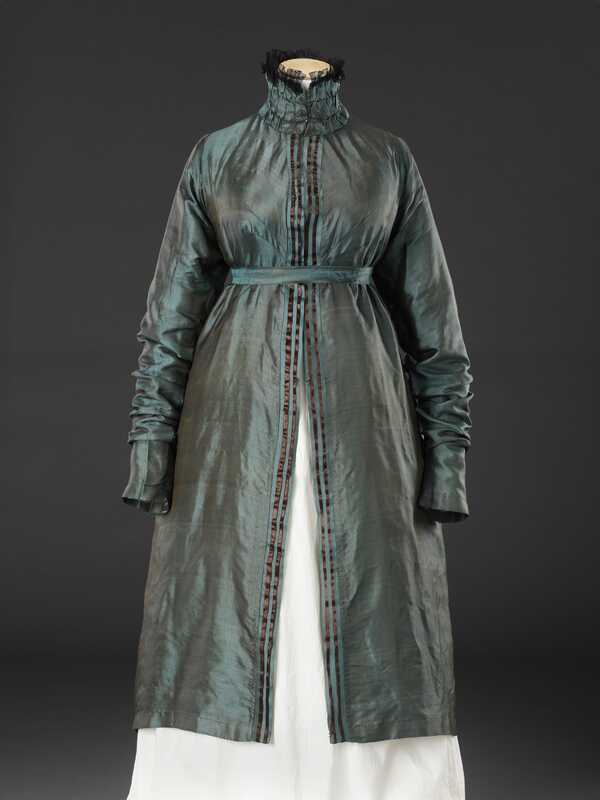 Its construction is simple, with no waist seams; each front piece is shaped only by two radiating darts each side of the opening to accommodate the bust, and continues around the sides to be joined to the centre back panel with flared seams; a simple band of silk is attached to these seams near the top to form a belt that defines the high waistline. 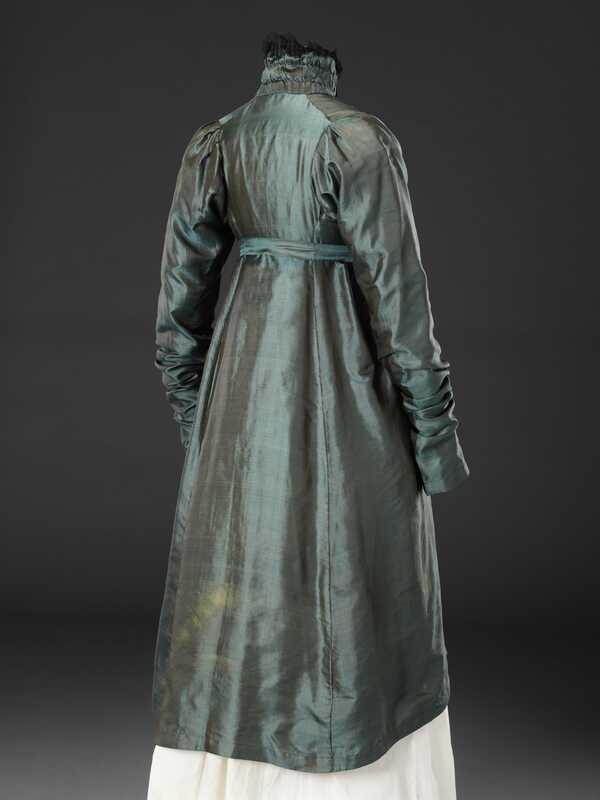 The one piece sleeves are set very far into the back like those of contemporary dresses. 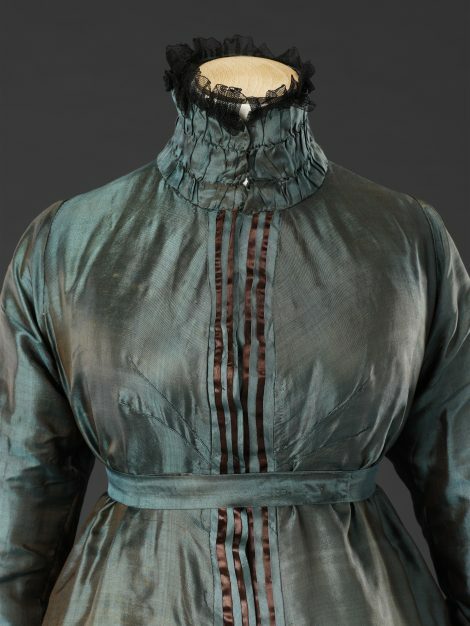 Despite its simplicity, sophisticated details make this an elegant garment; the high collar is ruched and edged with a narrow black tulle frill to provide a touch of fashionable historicism, and the striped front borders comprise alternating black and green bias strips and are weighted with small metal cylinders, only one of which survives.